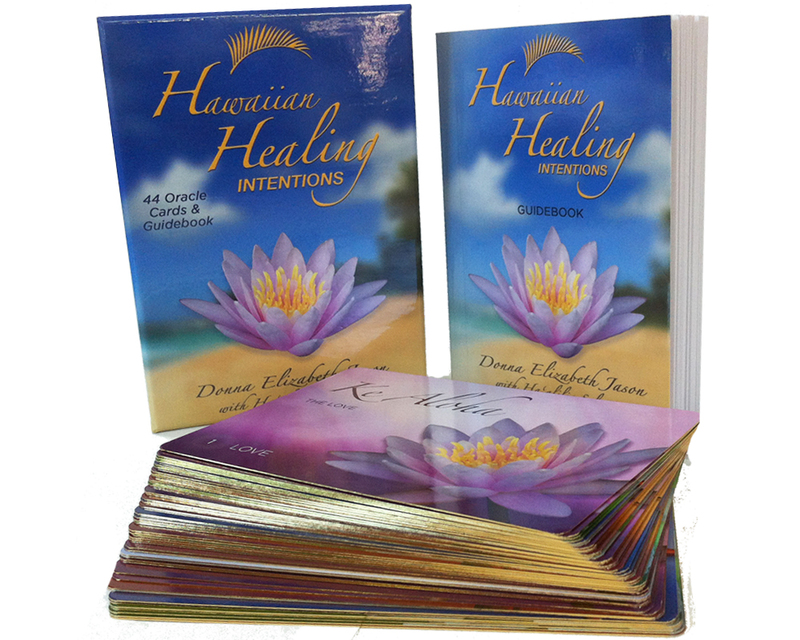 The Hawaiian Healing Intention cards can be used personally or professionally as a way to inspire your day, bring meaning to your work, or help your clients, patients and students deepen their journey. On Sale Through Dec. 15th! 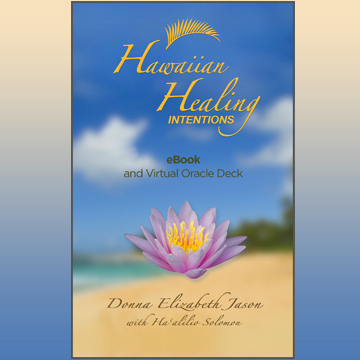 The Hawaiian Healing Intention cards are an inspirational and educational tool for you to use in everyday life and, or, in healing sessions. 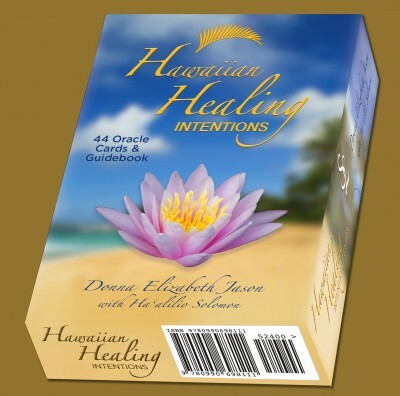 They are designed to help you live more intentionally and heal your life. The Boxed Set contains 44 Cards and a 115 page Guidebook. 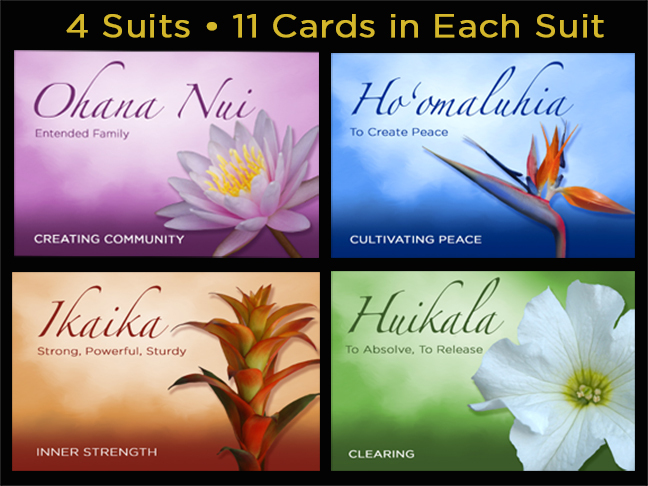 Each of the 44 Cards have a Hawaiian word, an English translation, an in-depth insight and an intention. 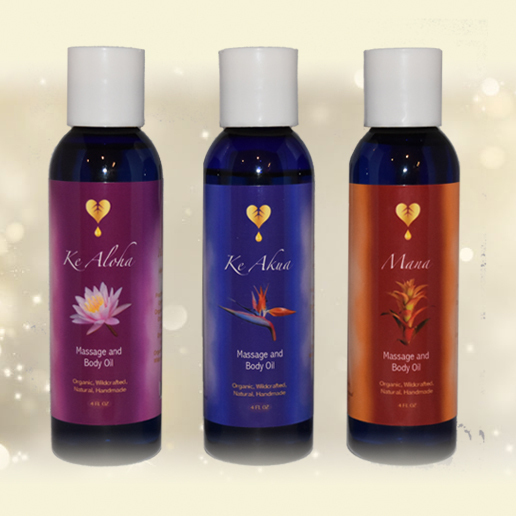 Used in tandem with a Lomilomi session, these intentions bring a soul-connection and depth to the healing experience. Please Call 818-865-8813 for quantity discounts. 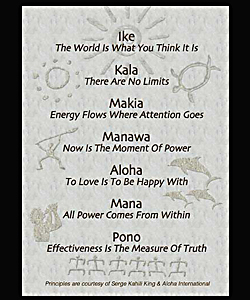 You can hear the pronunciations spoken by Haʻalilio Solomon, a professor at the University of Hawaii. The boxed set comes with 44 beautiful cards with gold edging and a 115 page guidebook. You have the power to improve your life! Cultivate inner-calm and a sense of purpose! 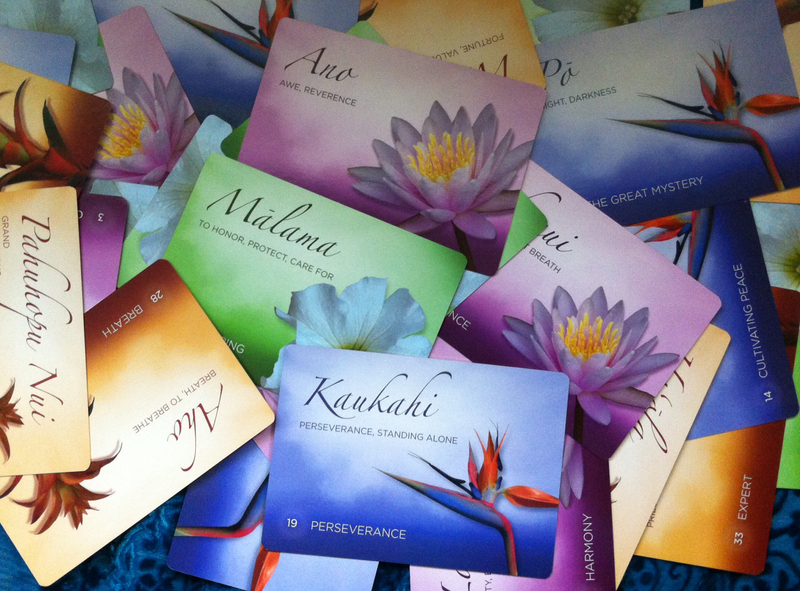 The profound and useful messages in these cards are designed to help you transform your life, health, career and relationships. 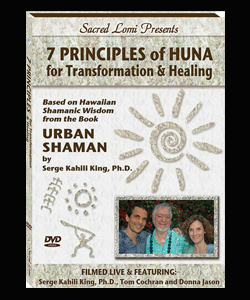 The Healing Intentions are designed to help you change your thoughts, shift your perspective and cultivate new and positive experiences.